Now that you understand what intermodal transportation is, let's dive into intermodal transportation cost saving. It’s no secret that proper mode selection is a critical component of supply chain optimization. Intermodal continues to gain momentum as a go-to transportation mode for a variety of commodities, yet many shippers are still reluctant to choose rail over standard over-the-road (OTR) solutions. Not realizing intermodal’s potential leads to inefficient and costly operations. Too often, shippers miss out on opportunities to save money on capacity through intermodal conversion. 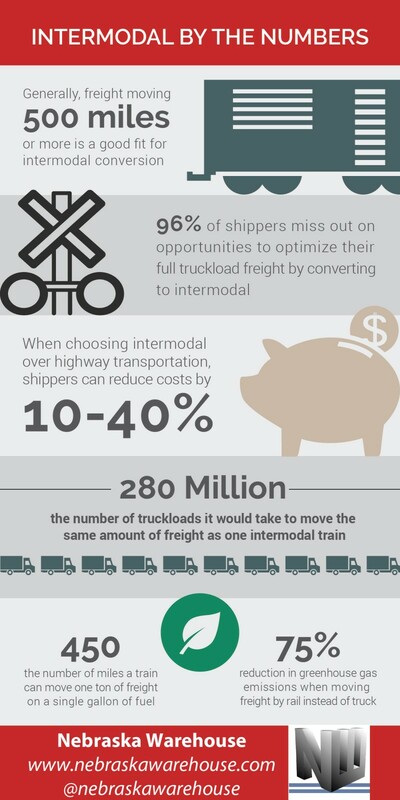 Intermodal not only provides truck-competitive transit times and reliable service, it also offers scalable capacity, cost savings, flexibility, and environmental benefits that truckload shipping cannot. Below are some statistics that may surprise you. Need help? Nebraska Warehouse can optimize your supply chain to ensure that you select the best mode. we offer a wide range of both dry and temperature-controlled intermodal solutions. With the driver shortage still looming and produce season right around the corner, intermodal may prove to be another solid way to source scarce capacity. 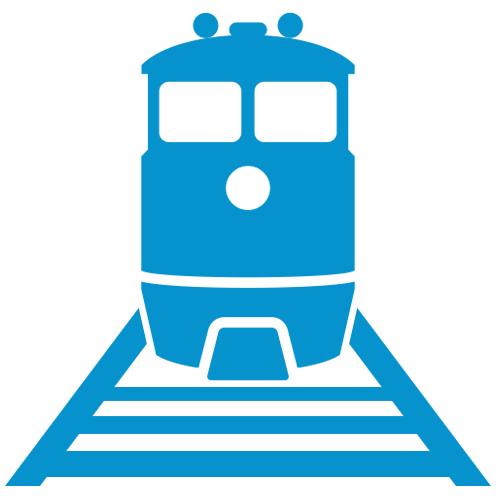 We can help you secure dedicated capacity, stabilize pricing, and shrink your carbon footprint whenever possible.